The Ford Focus RS will likely go down in the history books as one of the greatest performance hatchbacks of all time. Unfortunately, its production run will come to an end after 2018, but Ford is sending it out with a bang—and even more grip. 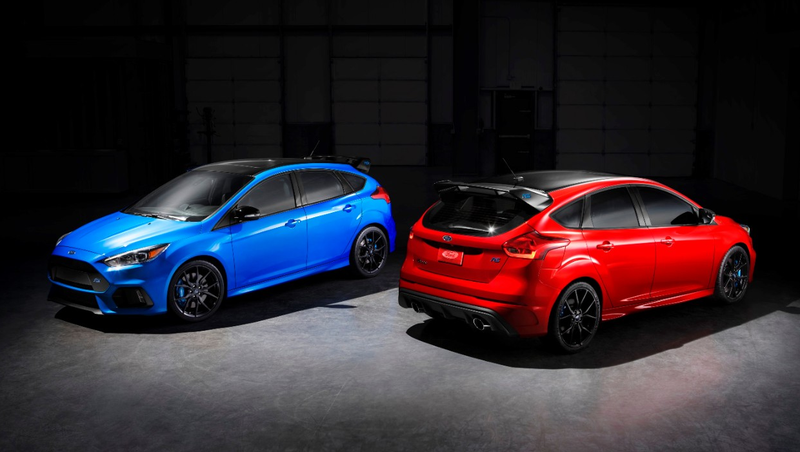 Ford has announced that for 2018, it will bring just 1,500 Limited Edition Focus RS models to the American market. This is the last batch of the current-generation Focus RS, ever. These cars will come standard with the RS2 package that includes heated leather seats with microsuede inserts, heated mirrors, and SYNC 3 navigation. There is also a new color available appropriately called Race Red. The Limited Edition cars also have a few subtle visual upgrades like painted 19-inch forged wheels and gloss black mirror caps, roof and rear spoiler. The big news is the addition of a Quaife mechanical limited slip differential on the front axle. Ford says the new LSD unit will be integrated with the car’s already impressive all-wheel-drive system and will allow the RS to carry more speed into a corner. This will hopefully prevent people from “Drift Moding” into walls. If you want to get your hands on the last RS—for now—contact your local Ford dealer to see if you can get an allocation on the 2018 Limited Edition model.